China is now the world’s largest chili producer and consumer, according to a national conference on chili planting held in Zhecheng, central China’s Henan province last Sunday. China produces 40 million tons of chili every year, said Zhao Yumin, secretary of the event’s organizing committee. Zhao revealed that China is home to 30 million mu, or 2 million hectares of chili, accounting for over 12 percent of the country’s total cultivated land designated to vegetables. Citing Zhecheng as an example, president Zhang Yuxiang of the Chinese Agri-produce Marketing Association introduced that there are currently 106 villages in the county that were engaged in chili planting. More than 5 million mu of chili had already been planted in the county, increasing income for over 150,000 people, she added. Zhecheng has a 400-year history of growing chili. 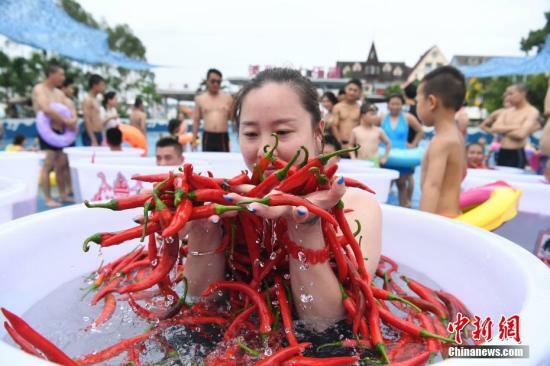 It has the largest chili market north of the Yangtze River, permeating 26 provinces, municipalities and autonomous regions, said Liang Hui, Party chief of the county. The chili produced in Zhecheng is exported to nearly 20 countries and regions including the US, Canada, Australia and Indonesia. The county trades as much as 600,000 tons of chili each year, with a trade volume mounting to 7 billion yuan ($1.02 billion).